Miss Sarah came by yesterday for newborn photos and was the perfect little model. 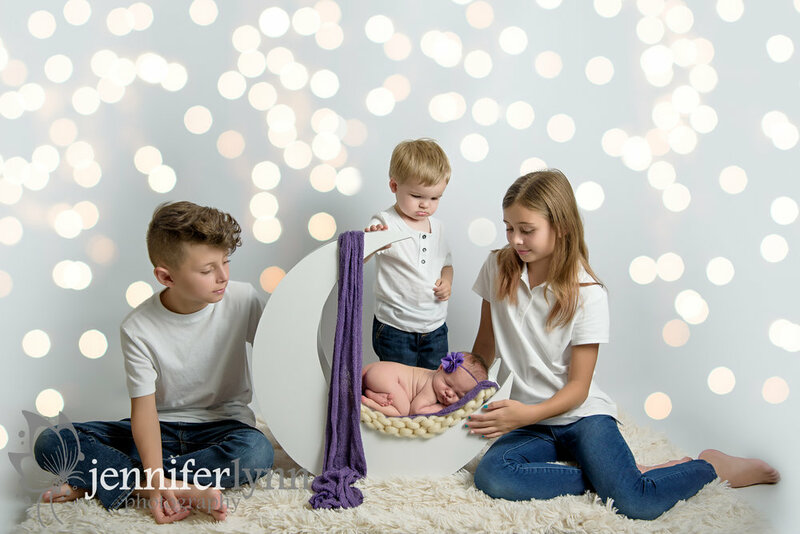 I had the privilege to photograph her brother's newborn session almost 2 years ago and was so excited to get to see this wonderful family again. 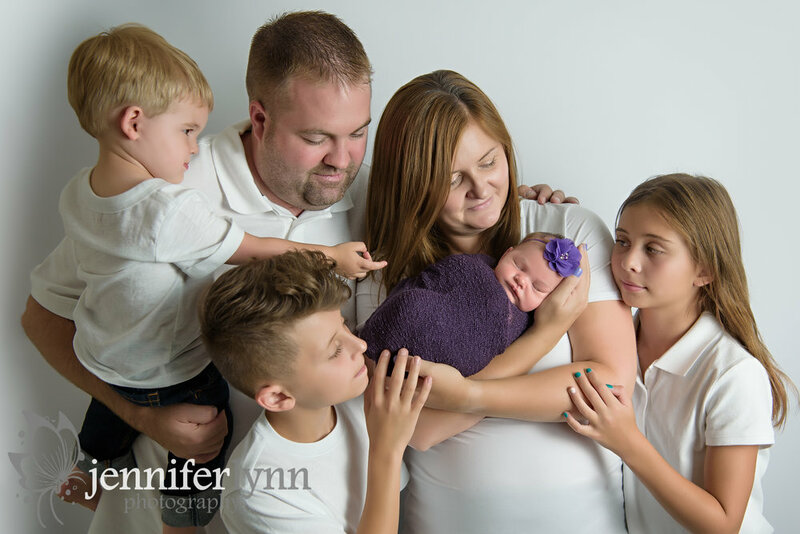 I especially enjoyed taking updated sibling and family portraits for everyone, now with a new baby sister. The kids have all grown so much since I saw them last, and as a mom I know how special it is to have family and kid photos to preserve these memories. Mom requested purple and teal colors for Sarah, and I love how adding the floral accents really made for a beautiful and girly theme. Plus it will be fun for the family to have moon photos to compare between their son and daughter! At the end of the session the mom brought in a few hand knit novelty items I photographed, one of which I also did for their son. I added a fun twist on one in particular as a surprise later in their gallery. A big congrats to this beautiful family on your newest little one! I can already tell she's surrounded by love from parents and siblings, and I hope to see you all again in the coming months as Sarah grows.